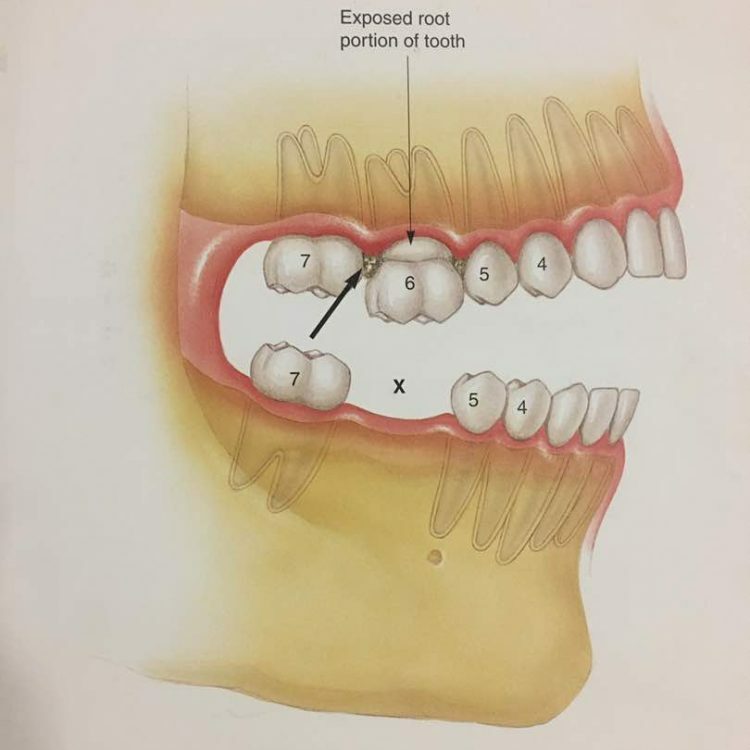 DID YOU KNOW, NOT REPLACING A SINGLE MISSING TOOTH CAN LEAD TO THE LOSS OF ALL YOUR TEETH? 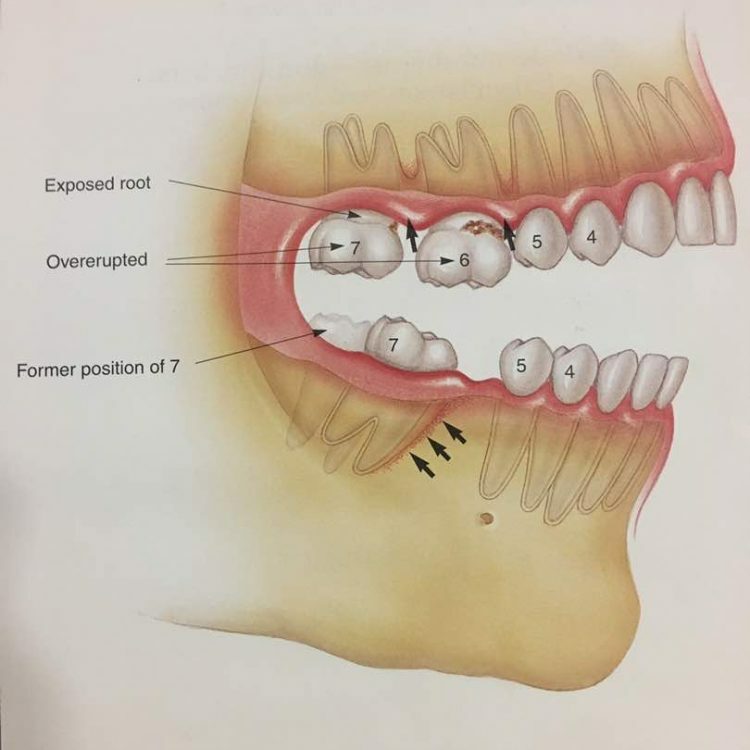 When a person does not replace a missing tooth for a long time, a chain of events starts. 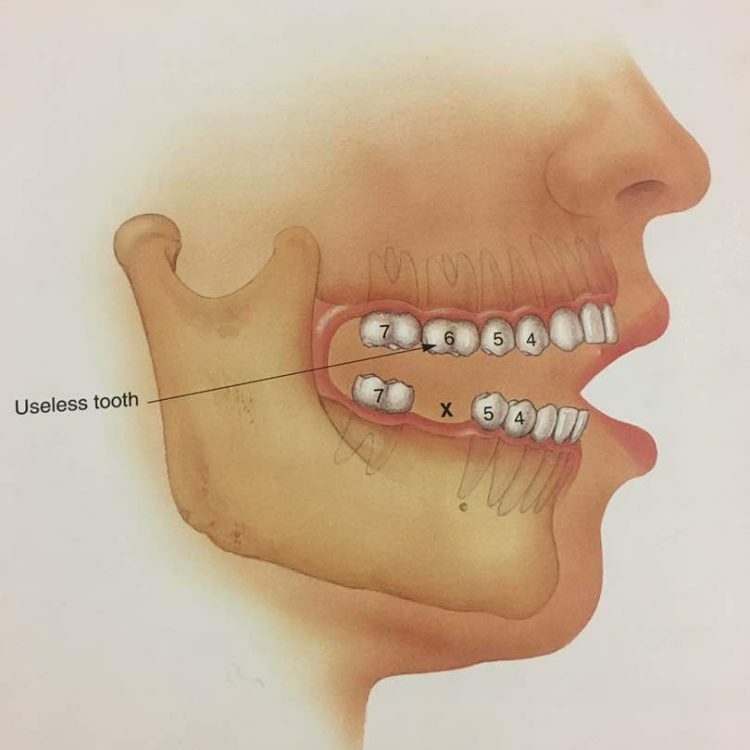 Such as over-eruption of the opposite tooth which is now useless, as it does not have an opposing tooth. 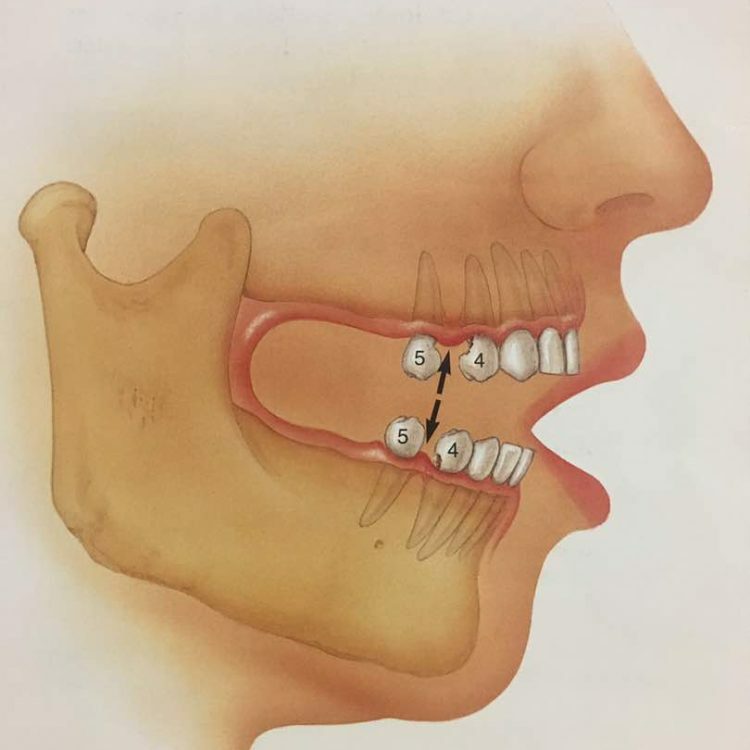 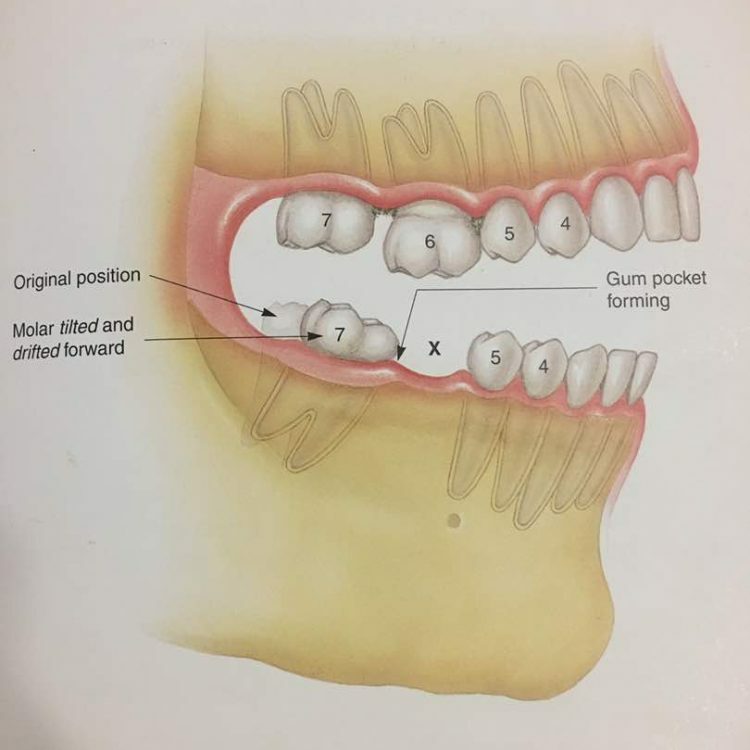 Tilt of the adjacent teeth leading to drift of adjacent teeth (as teeth tend to move where they get space) as well as gum pockets, decay and bone loss. 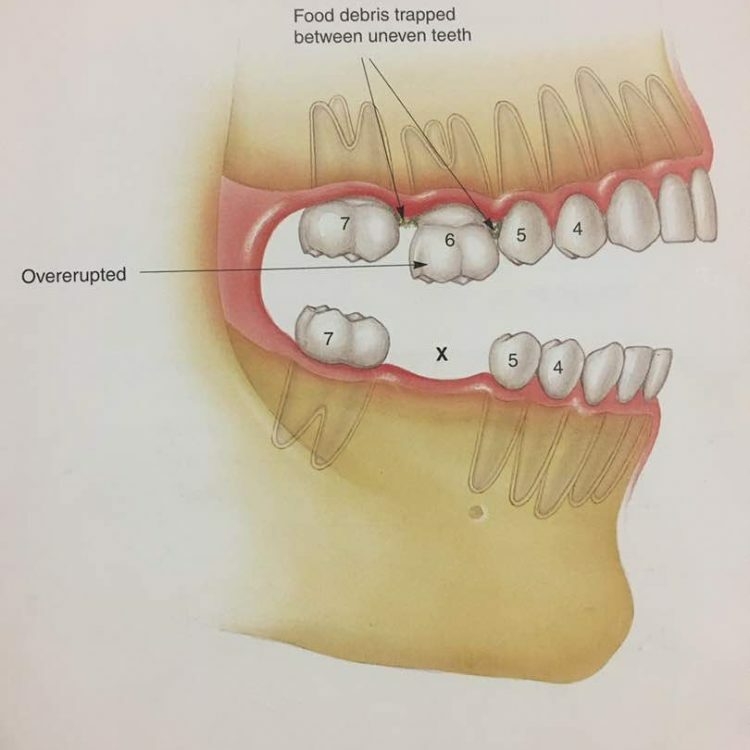 Over a period of time, this series of events can lead to the loss of all your teeth. 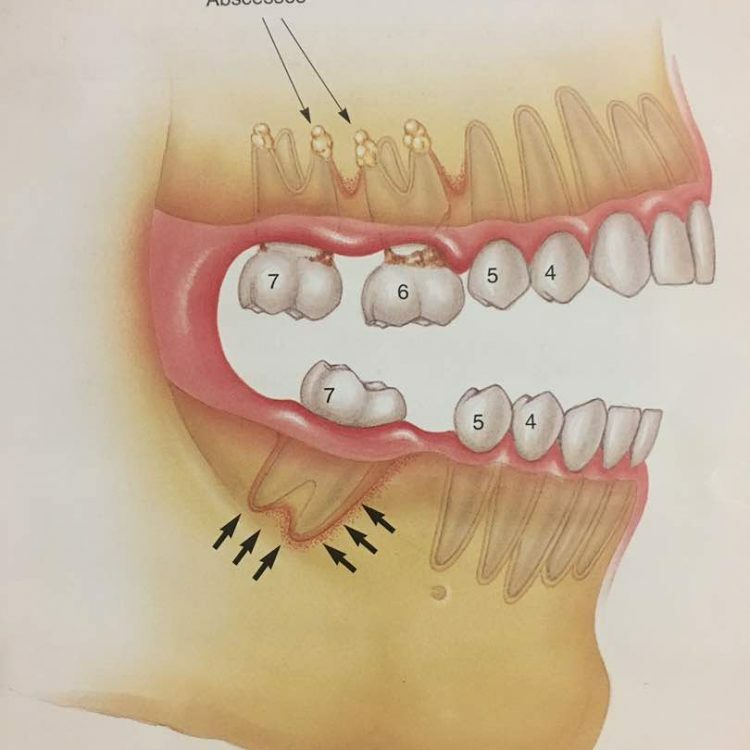 If a false tooth (or implant) is inserted today, it will avoid further problems, as well as save the adjacent teeth and also save further expense.